Source: Diabetes & Heart Healthy Meals forTwo. Even when you think you have only enough time to open a can of vegetables, you can make this tasty side instead. 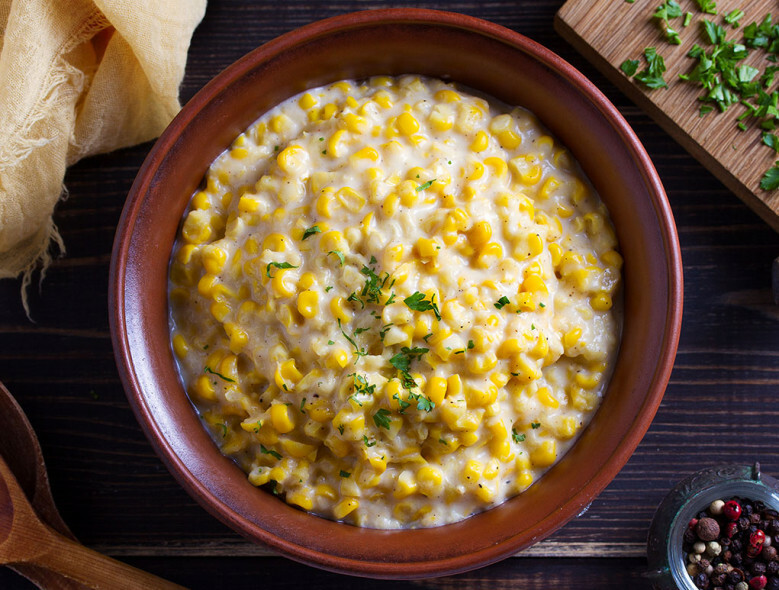 In a small skillet, cook the corn over medium-high heat for 2 to 3 minutes, or until heated through. Stir in the remaining ingredients. Cook for 30 seconds, or until just bubbly - do not boil - stirring constantly. Remove from heat and let stand, covered for 3 minutes so the flavors blend.